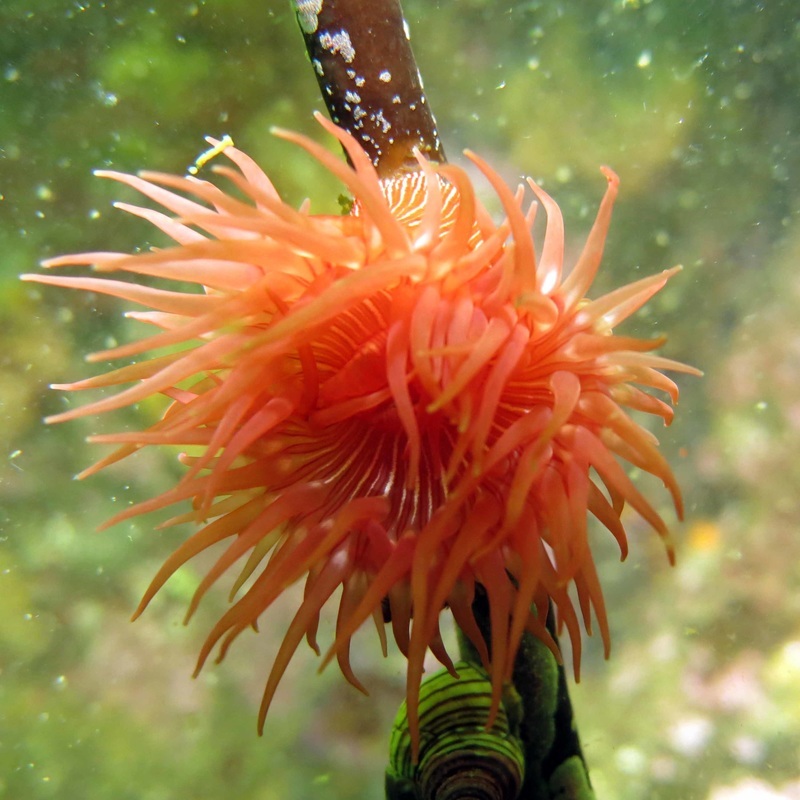 This anemone is variable in colour — it can be shades of red, green, purple, or orange — but always has thin light and dark lines along the length of its column. These stripes look similar all along the column. It often has thin white lines on its oral disc as well, radiating from its mouth. There are radiating lines on the bottom of the column as well (pedal disc), but this is only visible when the anemone is detached, or attached to glass (i.e. in an aquarium). The pedal disc diameter reaches 8 cm; the oral disc is often noticeably smaller. 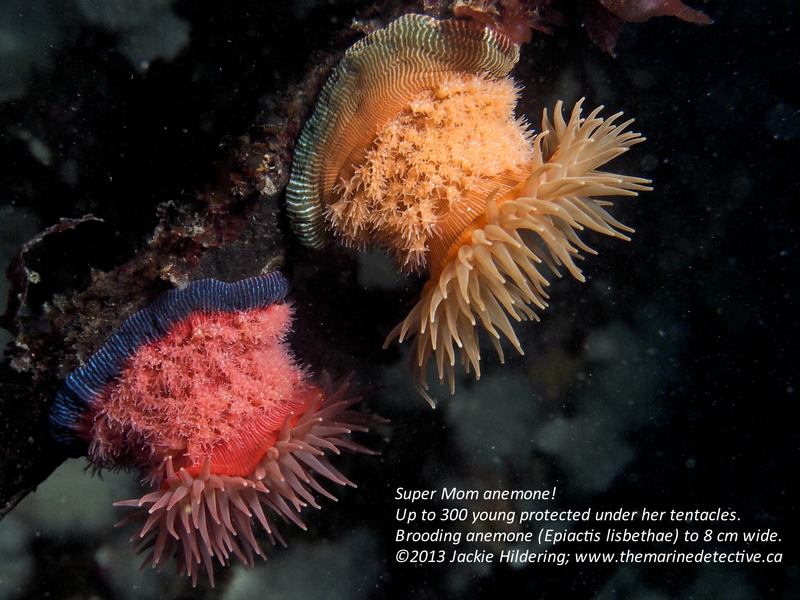 The brooding anemone was recognized as a distinct species only relatively recently; it has been reported in the intertidal and subtidal to 30 m deep, from southern Alaska to southern Oregon. When first described, this species was found attached to the undersides of boulders, on rocks, and attached to eelgrass and kelp. Individuals were also reported floating freely in still water, and were presumed to have detached from eelgrass. The proliferating anemone (also called the brooding anemone), Epiactis prolifera, is a very similar but somewhat smaller anemone, with thin stripes along the lower portion and the base of the column rather than along the entire length of the column, as with E. lisbethae. 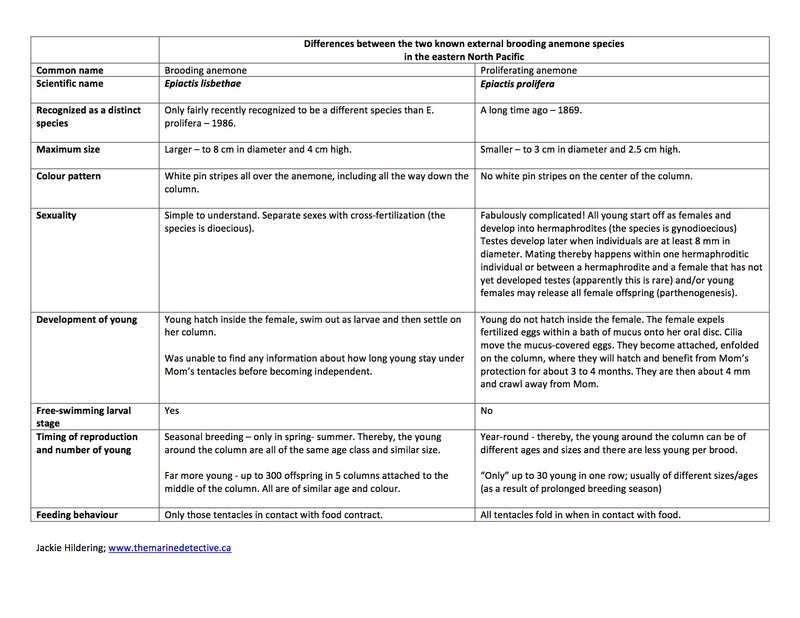 Click here for more information on differences between these species. There are two other similar species in this genus; click here for more information. Like the E. prolifera, E. lisbethae broods its young on its column. This occurs seasonally, however, rather than year-round as with E. prolifera. As a result, the brooded young tend to be of a similar size due to their similar age. There may be as many as 300 young in one brood, all attached to the female's column! Cowles, D. (2006). Epiactis lisbethae Fautin and Chia, 1986. Invertebrates of the Salish Sea. Rosario Beach Marine Laboratory. Fautin, D. G. and Chia, F.-S. (1986). 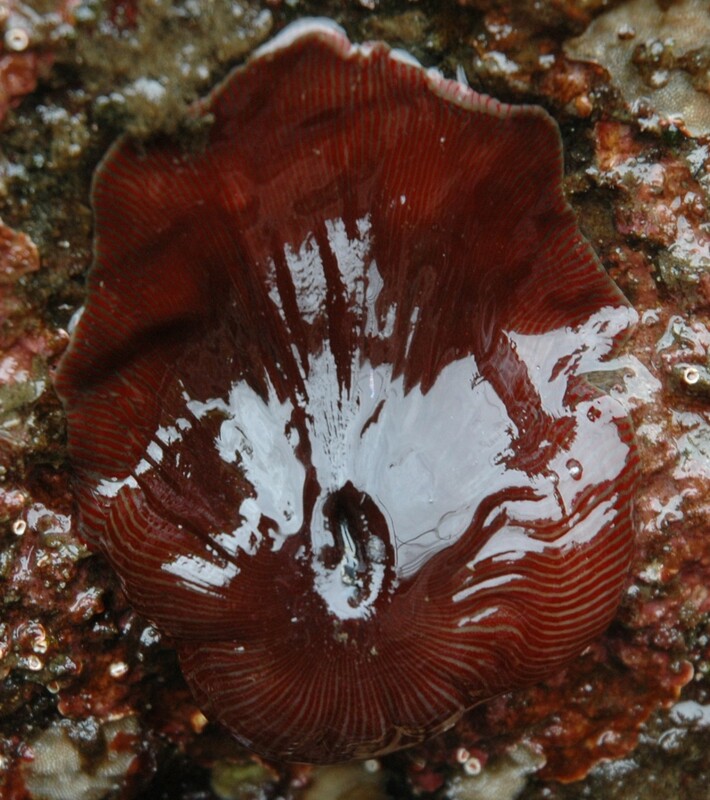 Revision of sea anemone genus Epiactis (Coelenterata: Actiniaria) on the Pacific coast of North America, with descriptions of two new brooding species. Can. J. Zool. 64(8): 1665-1674.